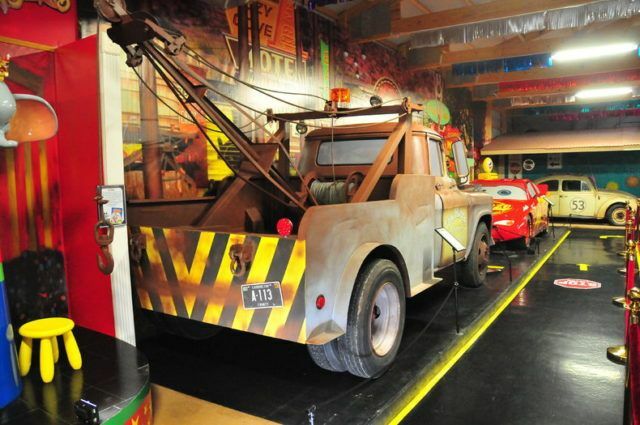 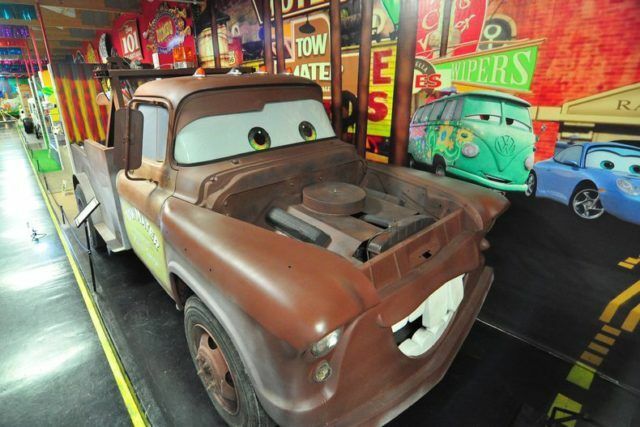 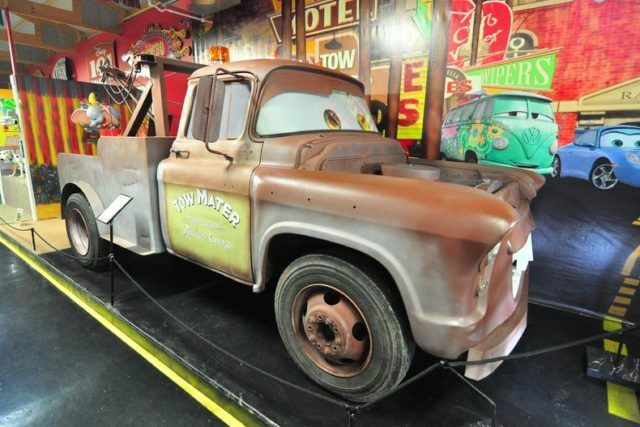 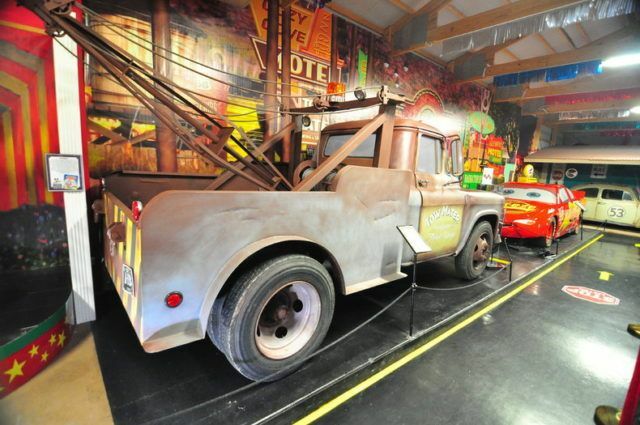 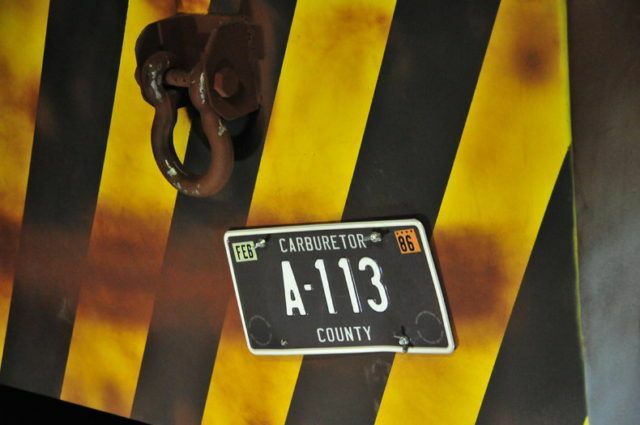 Known as Tow Mater from CARS, this truck was built for promotional use. 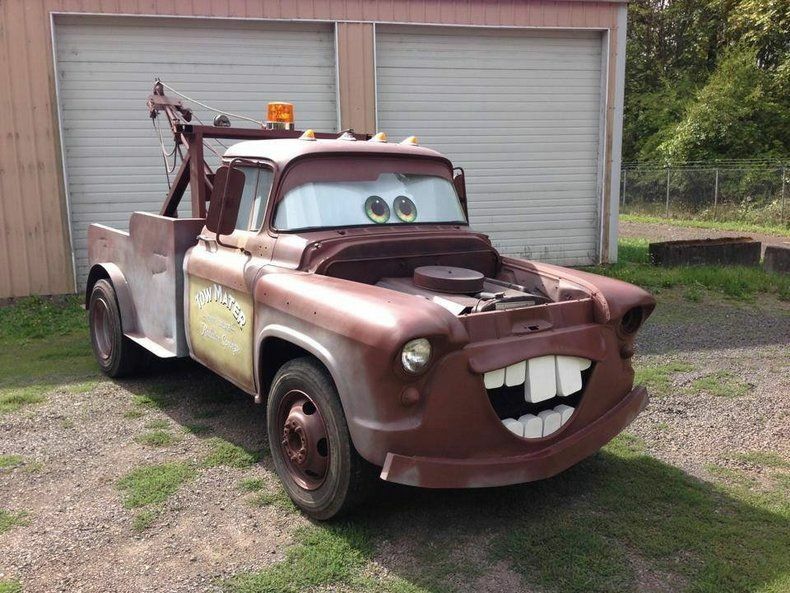 While he may look like an old beat up truck, he is anything but that! 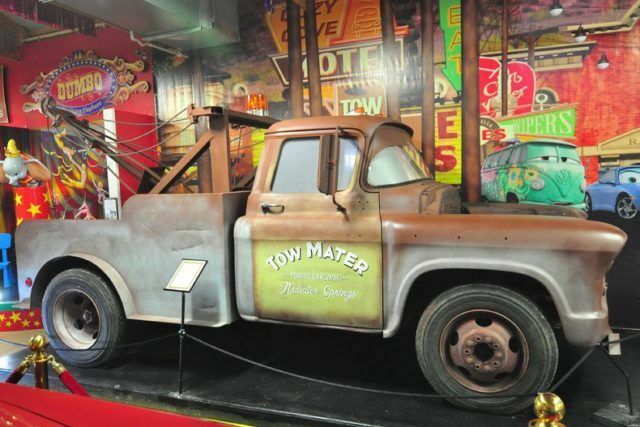 The 1955 Chevrolet truck cab was placed on a modern customized chassis. 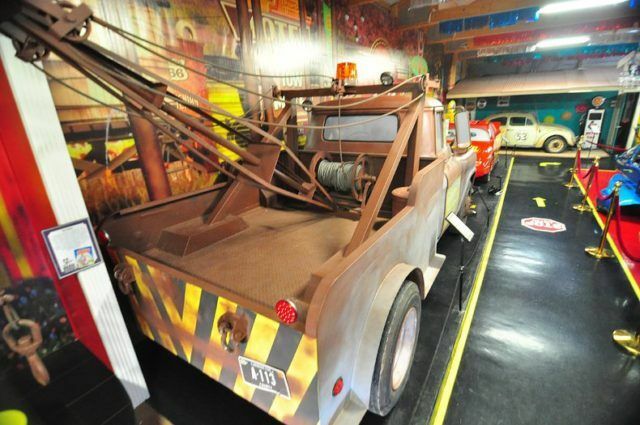 It features a big block 454 engine and automatic transmission with the stopping power of power 4 wheel disc brakes. 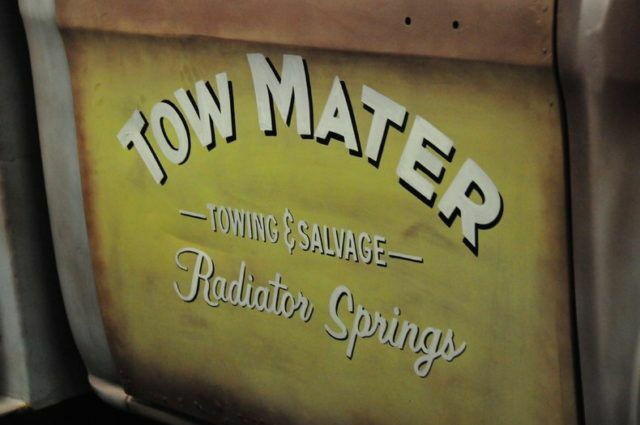 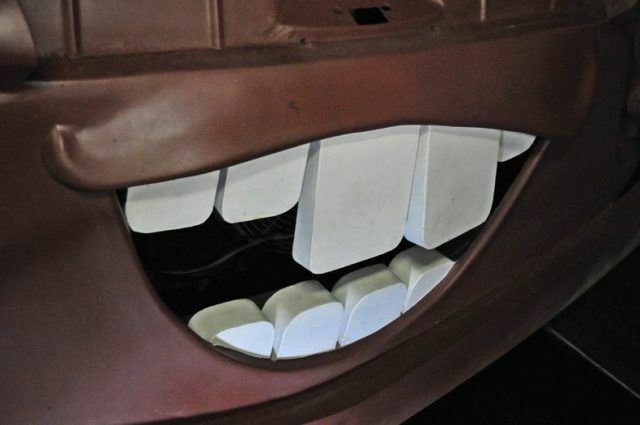 The bed and tow boom were hand fabricated and the entire truck was painted and distressed duplicating the cartoon character. 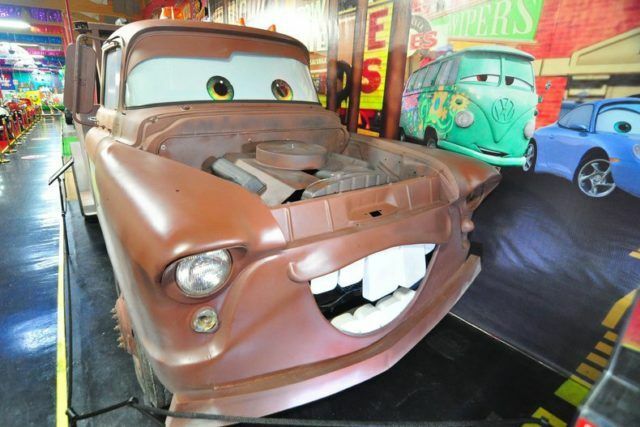 Signed by Larry the Cable Guy, who is the voice behind the Tow Mater Character. 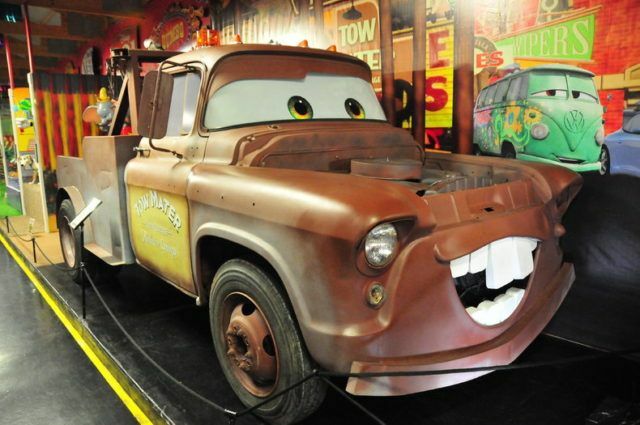 Authentication includes Larry the Cable Guys signature and photos of Larry the Cable Guy posing with the truck.